Longing for spring and summertime, so I can go on bicycle rides. 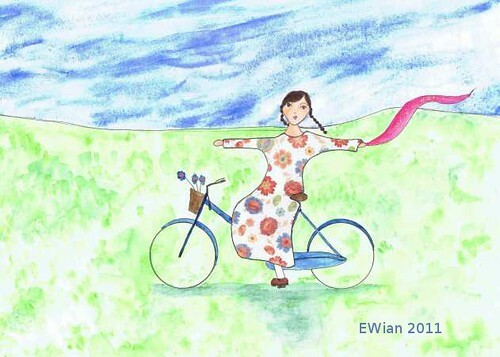 This weeks word at http://illustrationfriday.com is bicycle. Medium used: pencil, permanent marker, matt medium, distress stickles, pattern paper, watercolour and watersoluble wax pastel. Movie Monday#40 Do penguins fly?